The Acura TLX is a performance luxury sedan with three powertrain options — each more powerful than the one before. You can also expect features like Milano sport seats and an arsenal of driver assists for safer travels around Aurora. Not ready to buy? With our Acura TLX lease deals, you can take one home and make reasonable lease payments for a pre-established lease term. Browse your options below, then take a few minutes to get pre-approved online! Why Take Advantage of Our Acura TLX Lease Specials? Ready to start enjoying your trips around Highlands Ranch and Littleton in a new TLX? 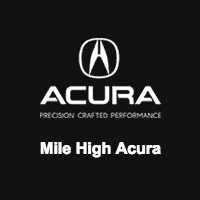 Contact us at Mile High Acura to learn more about its many features and your next steps toward an Acura lease.